This is one of the best-value reds around right now, a juicy, fruiy, robust grenache from one of the best producers in McLaren Vale. The Osborn family has been making wines for over 100 years and current winemaker Chester Osborn is the fourth generation in charge. Grenache grapes fell out of favour in the 1980s but are now recognised as an iconic Australian variety. d’Arenberg kept the faith and still has stock of old-school bush vines that produces wines of intensity and powdery tannin structure. $20. This is a wine of impeccable balance from the remote Great Southern region of Western Australia, which is now rivalling Margaret River as a source of quality wine. This is an estate-grown, cool-climate chardonnay from winemaker James Kellie that offers the classic trio of citrus, stone fruit and subtle oak flavours. Lees stirring has added complexity in a wine that is drinking beautifully right now and would be an impressive partner for American spare ribs. Substantial but elegant. $45. A seriously fun rosé from Langhorne Creek in South Australia. 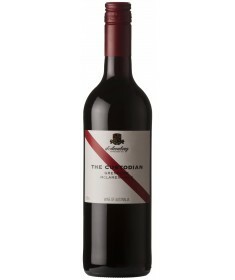 Bright and fruity with a dry finish, this is a blend of Australia’s two favourite red grapes; shiraz and cabernet sauvignon, made in a ripe-picked, drink-now, food-friendly style. Freshness is the key to this wine’s appeal with delicate red berry notes to the fore, hints of strawberries and cream and some brisk acid on the finish. Pair this with a Lebanese takeaway for a budget feast. $17. This is one of an impressive range of affordable Italian wines imported by Melbourne company Vino Bambino. It is an intense, inky red from the wild countryside of Abruzzo in southern Italy. A lot of this land is untamed and the wines, too, have a wild streak with plenty of full-blooded fruit winning out over subtle oak. The Terzini family has been making wines for three generations and this would be terrific paired with a rabbit ragu and pasta. $28.